Just what do facial oils do? Well, it helps to think of skin as needing both food and water – like our bodies themselves. Moisturisers are the water element, while facial oils offer concentrated nourishment. They’re incredibly skin-compatible, having a structure that’s not dissimilar to skin’s own sebum – and in fact, can actually inhibit production of that almost by tricking the skin into thinking it’s produced enough oil of its own. Personally? We like to layer a drop or two of facial oil over our moisturisers at night – a complete ‘meal’ for skin. We almost need to apologise for the number of 2019 Award-winners here – do scroll down for EVEN more winners – but the scores were so fantastic, you absolutely need to know about ALL of these. From one of the best-loved ‘clean’ Brit beauty brands, this (as the name suggests) sets out to illuminate and boost radiance, as well as to hydrate and target signs of ageing. A rich blend of oils – Amazonian buruti nut, camellia, rosehip, jojoba, moringa, camellia seed and more – the drops dispensed from the dropper bottle are nevertheless swiftly absorbed. One of the key factors in the incredibly high score awarded to this product – it notched up 9.3/10 across 10 testers – is the scent, which bathes your senses in heavenly rose otto. 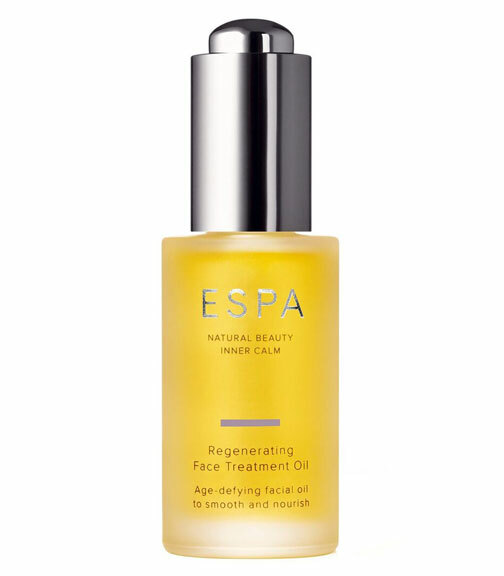 Looking up the info on this, we discovered that on their own site, ESPA feature over 275 reviews with an average of 5/10 score. That’s mirrored by our own testers’ reports, which are equally consistent; our mature testers enjoyed almost everything about this potent age-defying blend, which sets out to enhance elasticity via avocado, evening primrose, wheatgerm, with vitamin E, soothing calendula and organic carrot oil, also blissfully-scented with a scent that is both grounding and beautiful, from frankincense and jasmine essential oils. It’s also good for ‘stressed’ skins, they tell us. This year we embarked on some ‘special trials’ to offer brands consumer insights into their products, and this did amazingly well across 30 testers. We like that Slow Ageing – founded by the former head of Decléor in the UK, and his therapist wife – offers a Skin’ergy how-to facial massage to enhance penetration and effectiveness of the range (and testers thoroughly enjoyed the de-stressing as well as the skin-boosting effects from this). Cornerstone of the capsule Slow Ageing collection, the key oil in this ‘hero’ product is sourced from hazelnuts, scented with skin-balancing ylang ylang, oxygen-boosting rosemary, anti-inflammatory and uplifting lemon verbena and soothing chamomile. A name to watch. Most of us reserve facial oils for use at night, but Omorovicza – who tap into the longstanding traditions of Hungarian beauty therapy – maintain that because this is absorbed more like a serum, it can also be used in the a.m. Botanicals include sea buckthorn oil, rosehip and sweet almond oil to repair the lipid matrix and offer antioxidant defences, along an extract from bakuchi seed which they maintain is a natural alternative to retinol, helping to repair wrinkles and fine lines by boosting collagen formation. Further upping the antioxidant power is a winged kelp extract, for firmness and elasticity. Firmly rooted in the Ayurvedic tradition, all-natural Samaya target the three different Ayurvedic ‘doshas’ – vata, pitta and kapha. 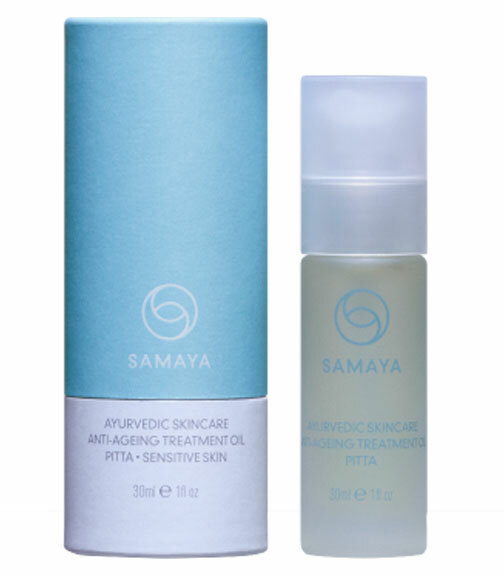 Pitta skins are prone to heat and sensitivity, combated here by an anti-ageing and calming, soothing blend that includes turmeric root and gotu kola oils and lotus seed extract (healing), cooling feverfew extract, neem oil (to reduce itching and roughness), Spilanthes acmella, or paracress (they describe it as ‘nature’s Botox), together with shatarvati extract, a tonic for female health whose Sanskrit name rather gloriously translates as ‘she who possesses one hundred husbands’ (!). This is (as you might have guessed) designed to balance skintypes, making it the most suitable of those featured here for oilier and troubled complexions. (Which, as we’ve said in our intro above, are also great candidates for facial oils.) They recommend dispensing two or three drops onto a cotton pad and applying to cleansed, damp skin, where the blend of safflower, avocado, macadamia, jojoba, evening primrose and a raft of botanical extracts should be absorbed quickly. Now this really is something different. It feels much lighter than an oil – literally almost like a water – and is more akin to a serum, we’d say. Nevertheless, we trialled it as an oil – and the testers loved this fresh-feeling product, whose key ingredients include myrrh oil (used in Indian traditional medicine for 3,000 years, for its soothing and restorative powers), alongside Ouessant black bee honey and royal jelly, from the unspoiled island off the coast of Brittany where Guerlain sources its key ‘bee’ ingredients; famously, royal jelly and honey have not only antiseptic but healing properties. It took our high-tech friends at Clinique a while to join the facial oil party – but according to testers, this was worth the wait. A nourishing blend for dry and damaged sins of fatty acids and lipids (sunflower, safflower, sesame, cranberry seed, barley and rosemary leaf extracts, among others), it also offers antioxidant protection from vitamins C and E to defend against environmental damage. Unlike most oils featured here, which retain the tones of their natural ingredients, this is completely (and Clinique-ly) colourless.